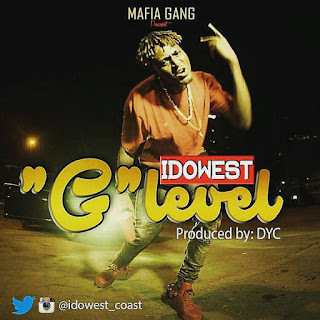 In preparation to take over Lagos and Nigeria come 2017, Mafaia Gang No.1 man Idowest has dropped this locked trap song every ballers and smart music lovers. This is coming after his his third hit single, "Lagos", featuring HKN smart man, Danagog, which is still taking care of clubs across Nigeria. Now he comes with G-Level, a song for every soul that wants to be on a New-Level. This is one of those songs you just want to have on your playlist for a long time.